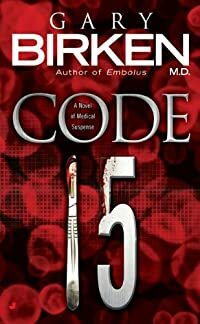 Code 15 by Gary Birken: Synopsis and Online Purchase Options. Synopsis (from the publisher): As the Chief of Emergency Medicine at Dade Presbyterian Hospital, Dr. Morgan Connolly faces death and suffering on a daily basis. So when two brothers in her care suddenly die from far advanced meningitis, she is devastated but understands as a doctor, she has to let it go. Not long after, Morgan's own father is killed in what seems to be a random attack. At the same time, the number of patients dying due to devastating but seemingly preventable medical mistakes — also known as a Code 15 — begins rising dramatically throughout the hospital. Morgan become suspicious that her father's death and that of the other patients were not random events. Her relentless pursuit of the truth leads her superiors to think she's losing her edge. As she begins to unwind a ruthless conspiracy, Morgan becomes convinced someone or some group is cutting a deadly path of vengeance through Dade Presbyterian — a path that may end with her facing her own demise at the hands of a merciless madman.